DRS is a the place to go for all of your trade show graphic support. They have the expertise and latest technology to support your trade show display needs including: banners, banner stands, display signage on just about any material including cardboard stock, paper, vinyl, plastic, wood and even glass. Yes, they have the ability to print the latest trends of lightbox graphic panels and custom cut them to any shape needed. 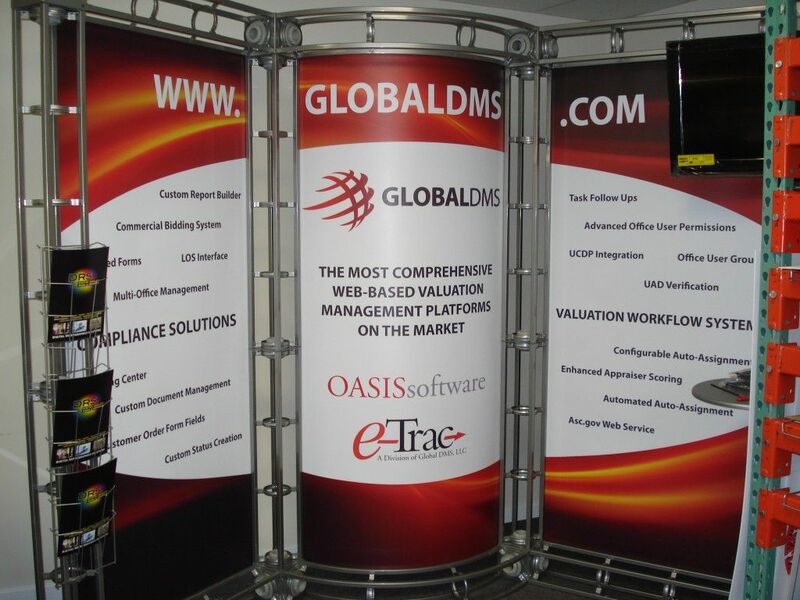 Think of DRS as your go to one stop place for your trade show graphic needs. They can print on material for custom trade show booth table covers or even on a larger scale to cover the entire backdrop of your booth. And because DRS is competitively priced, your booth graphics will be more affordable than you think. Come visit or call DRS and find out how they can help you make your trade show display more eye catching, improving your company image and the number of people who are attracted to your booth. At DRS they couple state of the art print reproduction equipment with the expertise to operate them effectively. That combination results in better images and prices for their customers. Are you taking your business on the road this year?